Published by Games2Be, Ploppis funky looking puzzle game which will keep you amused for hours trying to get those high scores. Ploppis very easy to jump right into, the idea is that Plopps, which are circle/bubble looking objects, grow randomly across the screen. As the Plopps grow you must click them to burst them before they hit another Plopp. After you have clicked a Plopp they ‘pop’ and begin expanding rapidly and the idea is to make them hit another Plopp in a chain reaction. As the Plopps grow they have a higher points value, the bigger the Plopp and the bigger the points score and the more bubbles which are popped in the chain reaction the higher the multiplier. I think you can begin to see why this is addictive. 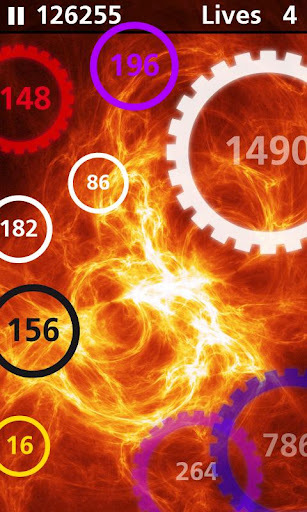 As we have seen before with Spoing, Games2Be pride themselves on making polished apps. There is nothing worse than getting your hands on an app which looks great but just doesn’t work right or doesn’t flow. 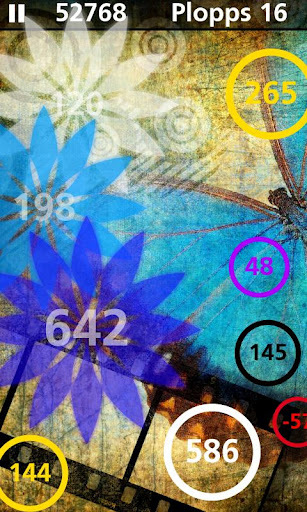 Plopp is a very well designed Android game which is graphically pleasing and has beautiful relaxing background music and great playability. Aside from having 4 different game types (Normal, 20 Plopps, Time and Survival), 20 unique levels and 80 quests it also has 3 soundtracks – a big bonus for those extended sessions where a repetitive audio loop gets old pretty quickly. 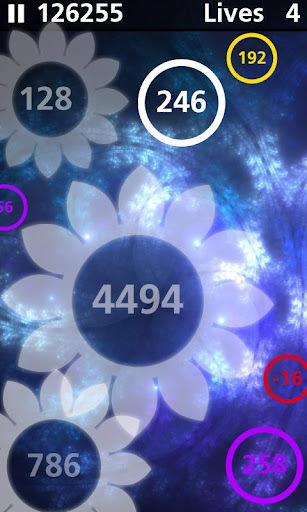 Ploppcan be enjoyed with very little concentration, or can require a lot of focus if you want to go for those high scores. 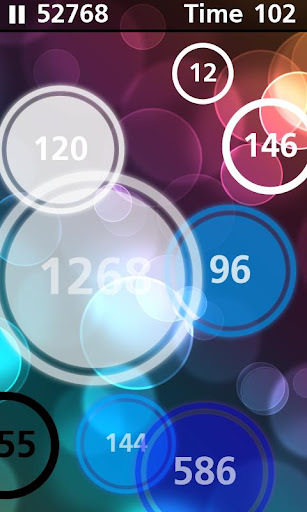 As a whole, Plopp is an entertaining Android game which will keep you amused for hours. It’s a light-hearted title, so can be easily picked up and play a whole game in a short period of time. This makes it great for commutes and lunch breaks, yes I am speaking from experience here. It was difficult to find a fault with Plopp, it is a simple Android game and it does what it says, the only thing which was annoying was when I pressed the back button the app closed, even within a game. Not a huge problem but this can be annoying if you expect it to pause the game when your going for a big score. Great game and lets hopeGames2Bebring out many more games which are at such a high standard asPloppis.